By definition: Trauma is a real or perceived threat to a person’s life resulting from an event that is outside of normal human experience and is associated with intense feelings of helplessness, fear and anger and may leave an individual unable to cope. A traumatic event involves actual or threatened death, violence or serious injury. Our Critical Incident Management service is fully integrated into the LifeAssist Employee Assistance Programme. We also offer the crisis management service as a stand-alone service and currently work with a number of retailers. Crime or accident scenes support/defusing. Victim empowerment: accompaniment to ID parade and for court appearance. Our protocols were verified by the internationally acclaimed South African Institute for Trauma Stress under the direction of Dr Merle Friedman. We provide a high level of expertise to coordinate the crisis intervention, do the defusing and provide the trauma counselling (onsite and offsite) – for both the primary and secondary victims – colleagues and family members. Response times are exemplary. 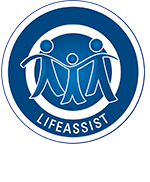 LifeAssist is reputed to have set the benchmark for rapid response. This is possible through the extensive footprint of the affiliate network of experienced crisis management consultants, case managers and trauma counsellors. “Let people tell their story, tell of their pain. And let others listen. We discovered that in telling, that people begin to experience a healing,” ~ Archbishop Desmond Tutu, 2000.